Yesterday, a very good webinar on Preview of Development Tools for Microsoft Dynamics NAV has been delivered by NAV Skills and team. If you haven’t got chance to attain it then you can find full recording of this session on YouTube. Many thanks to @LucVanVugt, @MarkBrummel, @DanielRimmelzwaan,@Waldo and @ErikHougaard for sharing such a good knowledge base. With Dynamics 365 for Financials which shares platform capabilities with Dynamics NAV Microsoft is introducing a new development platform. This webinar introduces the concepts and shares experiences about the preview. 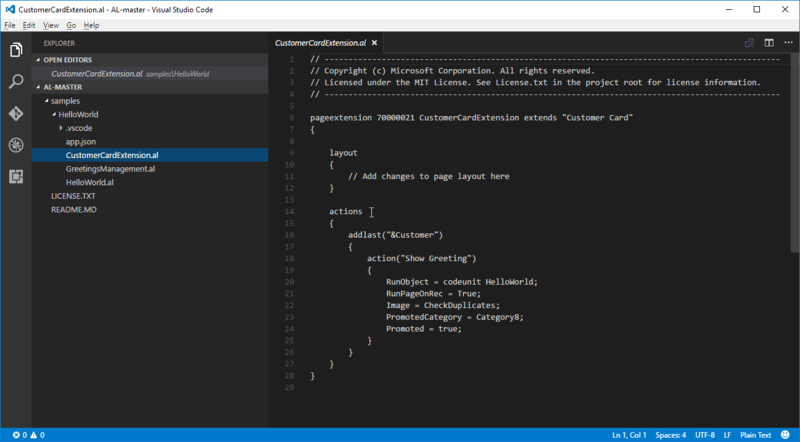 Last week Microsoft launched code sample HelloWorld repo for developing extensions to Dynamics NAV. 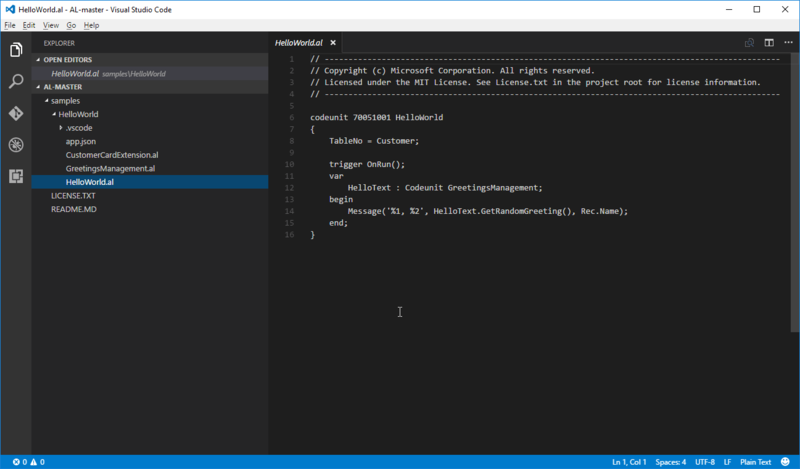 This is just a overview of how we will develop in future using #VisualStudioCode. 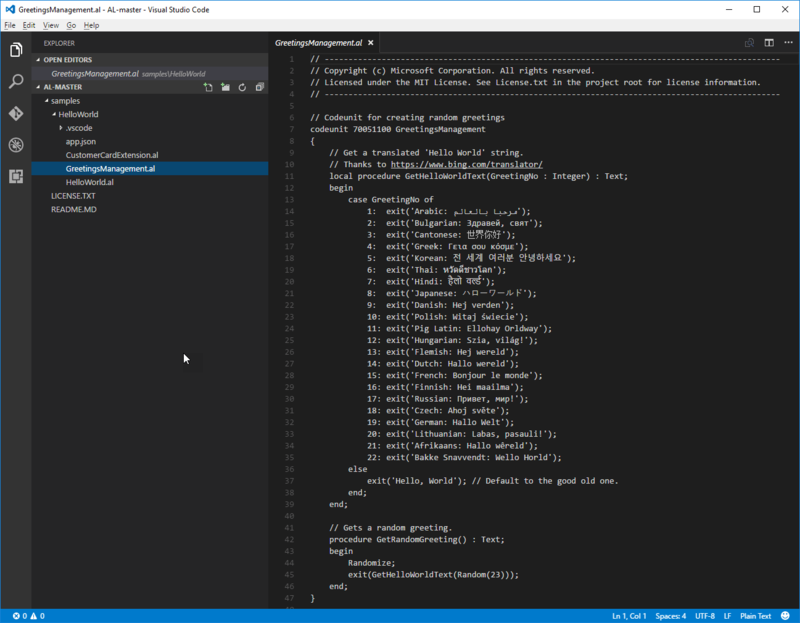 This repo contains AL language code samples for developing extensions on the Dynamics NAV platform. Some screens from AL language code sample.